« Come See What Else We Have For Sale! Hot Carma is a 2009 AHR Chestnut mare standing 14.2 hh. She is looking for a great new home that will love her and understand her. 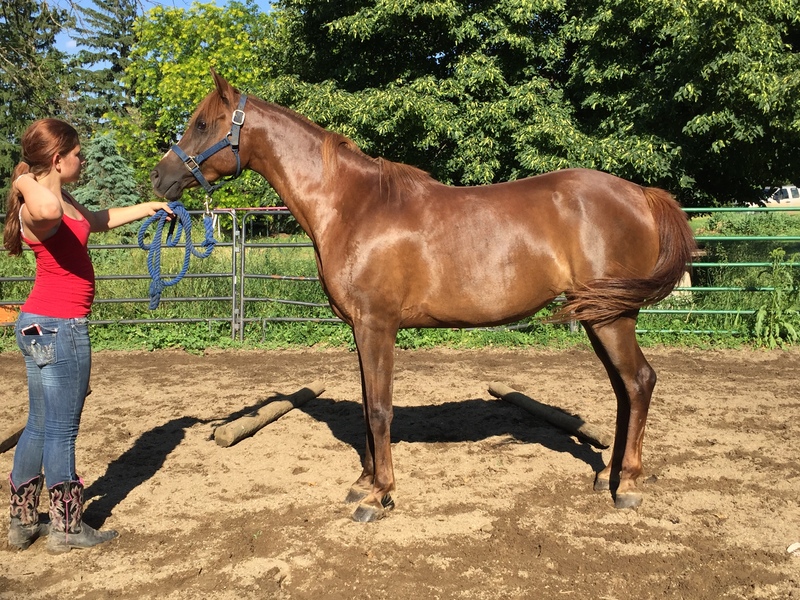 We have owned this mare for several years and have spent a great deal of time with her, waiting for her to grow up, breaking and training her, and now she is ready to move on to the perfect home! This mare is bred to the hilt with Ali Fire as her sire, who goes back to Baske Afire, Afire Bey V, Huckleberry Bey, and Bask. Her dam, Macarma, is double bred Zodiac Matador. 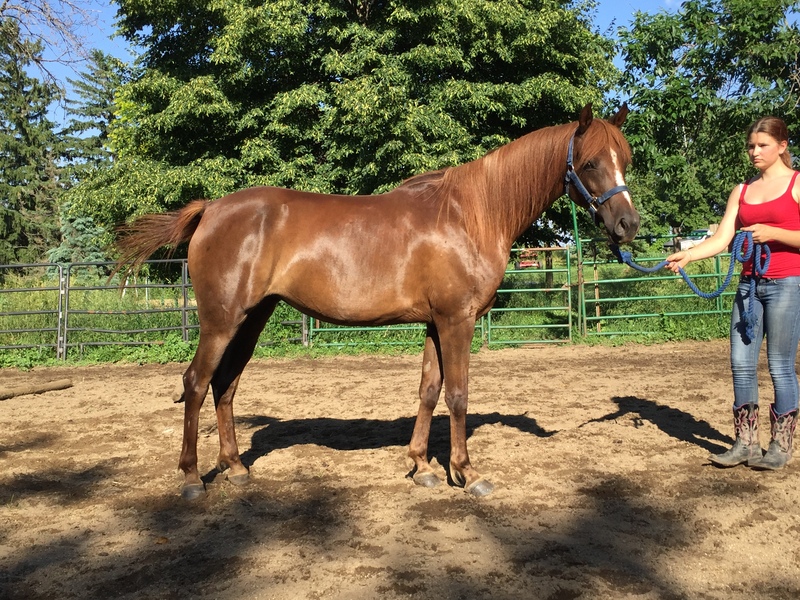 This mare was bred to be a saddle seat(we believe Country) horse, and now that she has a brain and a great start, is a wonderful candidate to enter the show ring in whatever discipline you desire to finish her into. 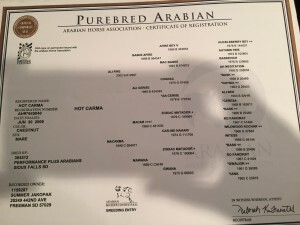 My crazy husband purchased this horse for me to run endurance on, but this mare should really be in the show ring or producing exceptional babies! 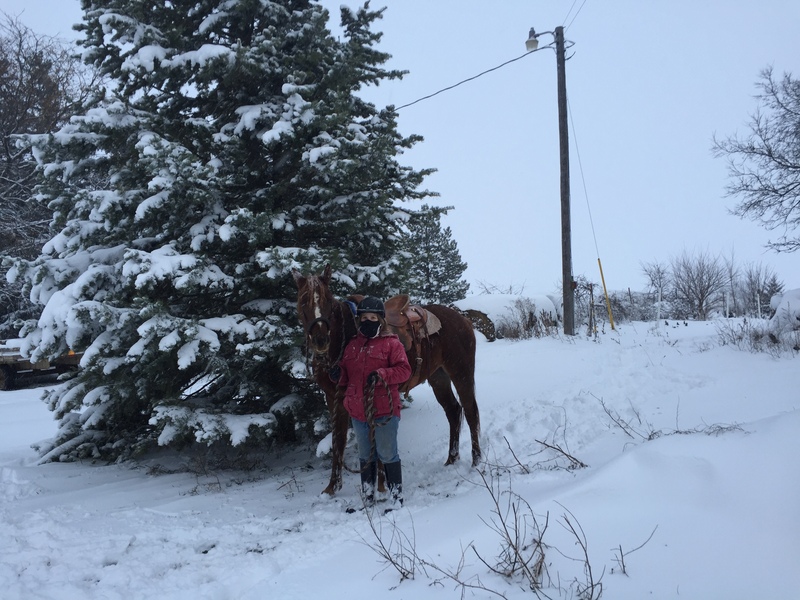 Like all hot bred horses she has a few quirks on the ground – but in the saddle this mare is a dream to ride. She is light, responsive, has lots of heart and a whole lot of presence. 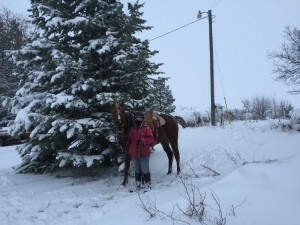 This mare takes care of her rider and rides down the trail as well as in the arena. She is not a beginners horse – and probably never will be. She likes who she likes and as long as you have a soft hand and a ready hug she will do her best to please you. She completed two NATRC CTRs in 2015 and carried her rider to two first place Horsemanship finishes! She also won 1st place at the South Dakota Spring Arabian Show in 2015 in the always fun Liberty Class. This mare rides in our arena for my 10 year old daughter and our friend’s 15 year old daughter who is riding her in this video, but she is NOT a kids horse! Advanced and confident riders only! Please contact Summer at (605) 359-6856 or at sjakopak@gmail.com with any questions.